mSASx4 (SFF-8088) to SASx4 (SFF-8470) - Adaptec Ext mSASx4 to SASx4 Cable 1m R is an external mini Serial Attached SCSI x4 (SFF-8088) to x4 (SFF-8470) Serial Attached SCSI cable measuring 1 meter. This cable is RoHS compliant. 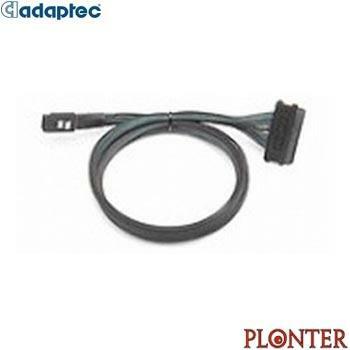 [table][tr] [td][img]https://www.plonter.co.il/graphics/product_images/100x100/2231700-R.jpg[/img][/td] [td]SATA SAS - SATA SAS Cables [url=https://www.plonter.co.il/detail.tmpl?sku=2231700-R][b]2231700-R[/b] - [b]Adaptec[/b] - mSASx4 (SFF-8088) to SASx4 (SFF-8470) - Adaptec Ext mSASx4 to SASx4 Cable 1m R is an external mini Serial Attached SCSI x4 (SFF-8088) to x4 (SFF-8470) Serial Attached SCSI cable measuring 1 meter. This cable is RoHS compliant.